OS Explorer Map 124, 'Hastings & Bexhill, Battle & Robertsbridge'. Starting GPS Co-ordinates: N50 87' 70" E000 64' 00"
Finishing GPS Co-ordinates: N50 87' 10" E000 64' 40"
There's not much to see here with regards to greenlaning. 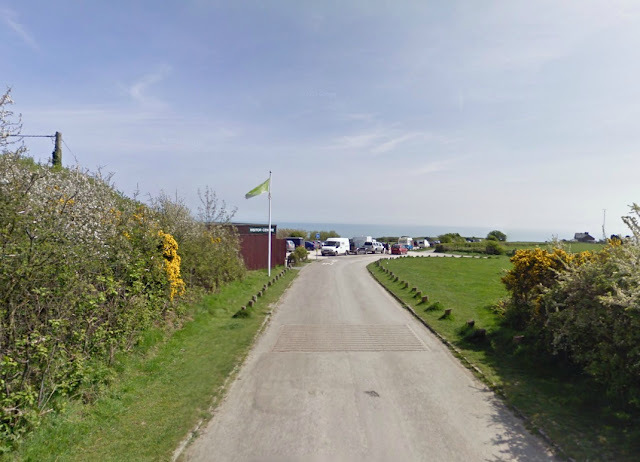 Indeed this byway is now simply the metalled access road to the car park and coastguard station in Hastings Country Park, known locally as the Firehills due to the abundance of gorse bushes which, when in flower, turn the entire clifftops yellow for miles around. Well worth a walk or a picnic any day of the year, certainly, but of no interest to greenlaners.